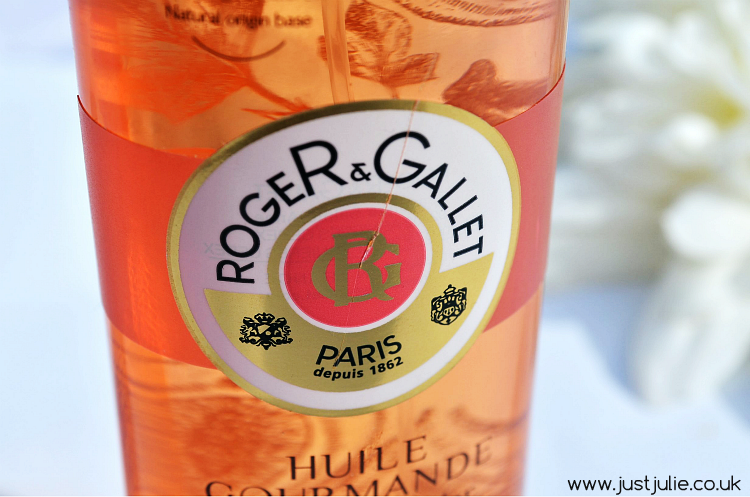 Roger & Gallet are an extremely luxurious brand, a brand I hadn't tried much from before, so when I was asked if I wanted to try their Ultra Nourishing oil I jumped at the chance. I can tend to suffer with dry body skin, especially as we move into Autumn and Winter. I hate the feel of a body cream that takes forever to dry on my skin, I honestly don't have the time, especially in the morning, to stand around waiting to dry off, so a body oil is the best thing for me to use in the mornings. 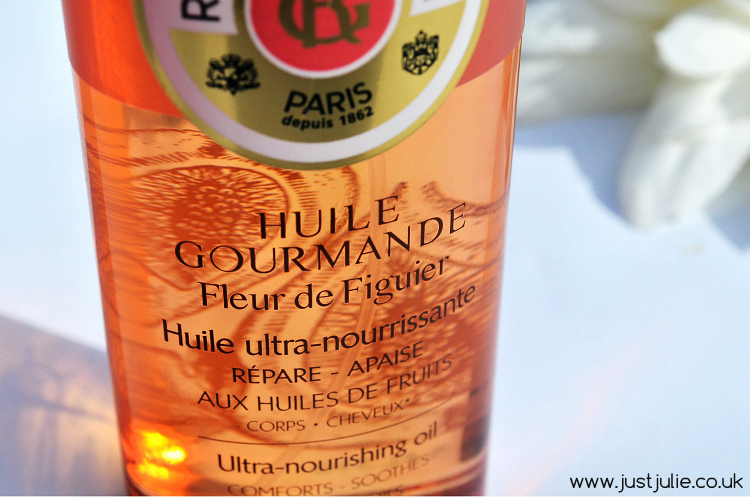 What I love about the Fleur de Figuier Huile Gourmande Ultra Nourishing Oil* is that it's a dry oil, it's non sticky, lightweight and dries pretty much straight away, which is what I want. This manages to leave my skin feeling extremely moisturised and hydrated and also adds this gorgeous healthy sheen to my skin too. It's so quick and easy to use. I just spray a few times over my body, quickly rub it in and that's it, my skin is dry within seconds and I can get dressed straight away. I love the packaging. I adore the glass bottle, with that alone making this instantly look very luxurious and it's now taken over the front spot on my chest of drawers, in front of all of my other body products. The scent is gorgeous. It's described as a mixed between floral and fruit scent, but the two together have made such a beautiful sweet scent that just lingers on my skin for several hours after applying. The scent is very summer time appropriate, but for me, I like a sweet scent all year round. I've been using this most mornings for just under a month now and have really enjoyed using this. I've also only used a quarter of the bottle up, as a little really does go a long way. If you're not too keen on rich body oils and like to use something that's quick and easy, that also feels luxurious then this would be the body oil I would highly recommend. You can purchase the Roger & Gallet Fleur de Figuier Huile Gourmande Ultra Nourishing Oil from Escentual for £24.50 normally but at the moment it has money off so you can pick this up for £20.82. 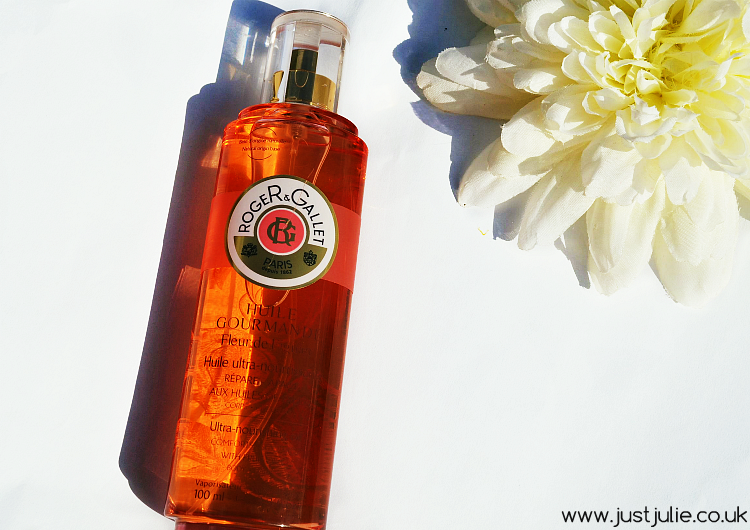 Have you used anything from Roger & Gallet before?